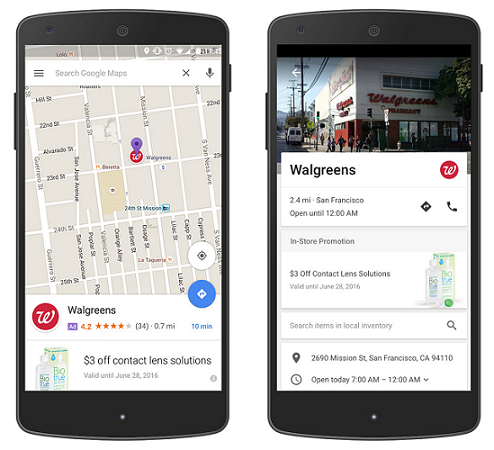 Google has improved its mobile advertising tools to help brands, businesses optimize their reach. Did you know that there are trillion of searches in Google every year? And that over half of those searches are made in mobile devices such as tablets and smartphones? This is why Google has now improved their mobile advertising tools so that brands and businesses can optimize their reach. Google has redesigned AdWords for marketers and brands. They have reimagined everything from creatives and bidding, to workflow and measurement. If you have a business and you want to run your search engine marketing campaign, read on about these changes to help you reach more customers and increase sales. You may have noticed that recently, Google has removed right-hand side ads on desktop to improve the search experience and make it more consistent across devices. Now, they are introducing another welcome change. They are expanding text ads in AdWords which will also be optimized for screen sizes of the most popular smartphones. This provides marketers and brands more ad space so they can showcase more information about their products and services. Starting July 2016, you can now create Google Ad Headlines with 30 characters instead of the usual 25. As for the description lines, there will now be one consolidated 80-character description line instead of two lines, with 35 characters for each. For the Display URL or website link, it used to be that any mismatch between your display, final, and landing page URLs will cause your ad to be disapproved. Starting July, Google will now automatically extract it from your final URL to ensure accuracy. You can also customize the URL path or the link to one of your website’s inside pages. Because of these changes, Google is expecting an increase in clickthrough rate of up to 20% compared to current text ads. When you run your Search Engine Marketing campaign, you will be asked to bid on the ad words (the words that people type in Google search. The result page is where your ad will appear). Before, you cannot customize or bid higher if you want your ad to appear on a smartphone as opposed to a desktop computer. Marketers now have more control and flexibility to optimize bids on specific devices. In the next few months, you can set individual bid adjustments for each device type—mobile, desktop, and tablet. This is important because if your customers are smartphone users, you can bid higher so that there is a higher chance for them to see your ad. You will also have a wider range to adjust bids up to +900%. With these changes, businesses can now optimize with greater precision with just a single campaign that reaches potential customers across devices. Map users who are driving or walking around the area can now see highlighted locations such as for nearby coffee shops, gas stations or lunch spots along their route via Promoted Pins. They are highlighted using a bright purple pin in Google Maps that is hard to miss. From sites to apps to videos, mobile has unlocked new spaces to reach consumers, but marketers still face the challenge of building ads that work seamlessly across all device sizes and contexts. 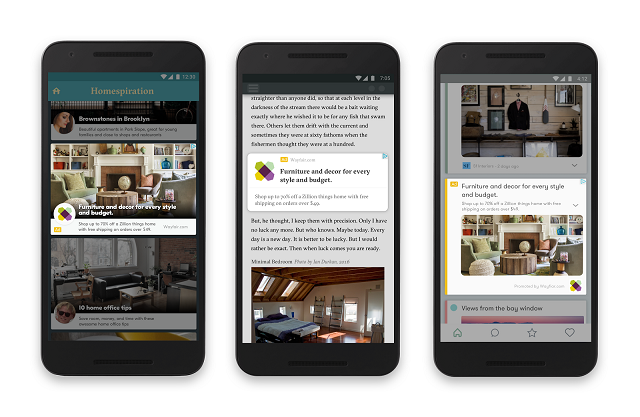 Responsive display ads adapt to the diverse content, shapes, and sizes across the more than 2 million publisher sites and apps on the Google Display Network (GDN). This is why Google is now extending the reach of GDN remarketing campaigns by giving you access to cross-exchange inventory. This simply means that you can reach more websites and apps around the world. If you have an existent Google Business Page, you know that you can only include contact details and your physical address in the listing. Google will now be adding new features like special offers and the ability to browse product inventory in local business pages. With these enhancements, you can start planning your Search Engine Marketing campaign using AdWords, which is still the largest online-to-offline ad measurement solution in the world.